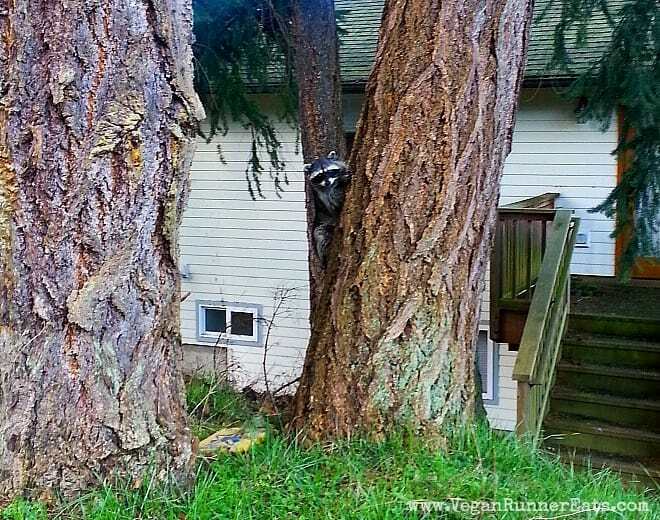 Vegan Runner Eats » Marathon Training » Rock’n’Roll Seattle Marathon Training, Month 1: Preparing for Bigger Things to Come. 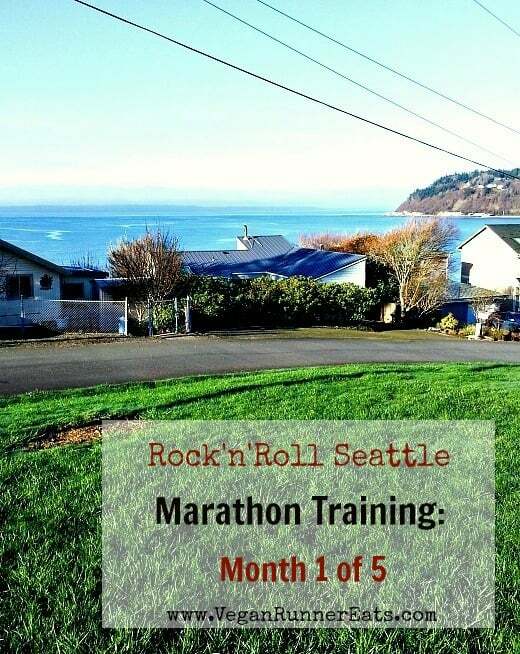 …And here we go: it’s time for the first update about my training for Rock’n’Roll Seattle Marathon that will be happening on June 13th, 2015! This is going to be the third marathon in my life, and the second one I’m going to tackle as a vegan. This time around, I’ll be updating you once a month about the progress in my training so that you could learn from all of my ups and downs – hopefully more ups than downs! 1. During my previous marathon training seasons, I didn’t have a job, so I had plenty of time to focus on training and writing about it. This time around, I have a full-time office job that requires my presence 7 am to 4 pm Monday through Friday. 2. Both of my 2 previous marathons happened in Florida in November, so my training started in hot and humid Southern summer months. Since then, we moved to the suburbs of Seattle, WA, and my training has started in dark and chilly January. 3. My training grounds in the South were fairly flat – so was the marathon in Pensacola, FL that I ran two times. Seattle and its surroundings are a completely different story: even on a short 3-mile run in my neighborhood I encounter 2-3 huge hills that take me as long as two minutes to run up. Let’s see how my training went in this first month of marathon prep. Nutrition: to eat regularly throughout the day, bring plenty of snacks to work, and make sure to always have a snack shortly after a workout to kick-start recovery. Gear: to figure out a way to carry my Garmin 110 GPS watch with a broken wristband (apparently, it’s a common issue with this cheaper Garmin model). Thankfully, things worked out fine during this first training month. I missed my three strength training sessions a week and found 3 weekly runs kind of hard at first, especially since doing them on a treadmill wasn’t much fun. In the past weeks the sun has been sticking around in the sky for a little longer in the evening, so I was thrilled when I realized that I could do an outside run after work on Fridays without the darkness swallowing me up. 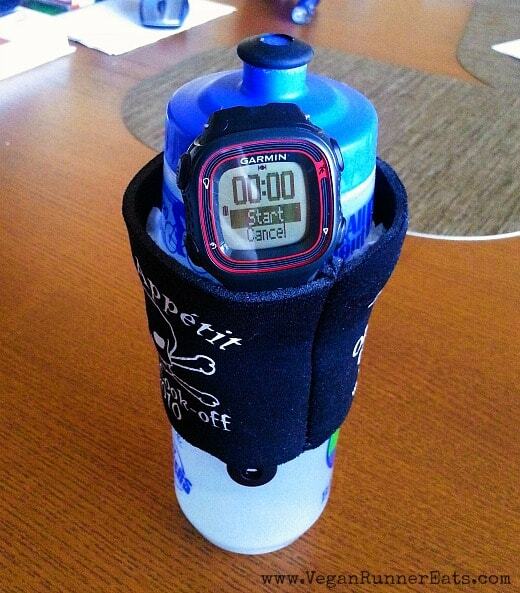 Here’s what I figured out with my GPS watch: I just tucked the still attached part of the wristband under the koozie that I always put over my water bottle! The whole setup was easy enough to carry in my hand even during longer runs. Here are a few more useful running tricks that I use all the time. Tuesdays (after work) – interval running on a treadmill at the gym after work, starting with 3 miles and going up to 4.2 during my latest week. Interval work included anything from .35 mi of running hard with .15 mi recovery jog, to .6 mi hard with .2 mi jog. Sundays (in the morning) – long run outside, starting with 3.2 mi the first week and maxing at 6 miles. Speed/pace during runs: I’ve been averaging in between 9 – 9:30 min/mile in hilly areas that seem to be everywhere around here, and under 9 min/mi on flat stretches. Boy was I silly when I thought this would be a smooth sailing! It turned out that my body forgot how to enjoy running at first 🙁 , but eventually things began looking more fun again. I’m still slightly dreading treadmill interval runs on Tuesdays, but at least I’ve noticed that those runs have helped me become a little faster when running outside. 1. My runs have been robbing me of energy in the evenings after dinner – the time that I usually devote to blogging, making sock monkeys, or just hanging out with my husband. Back when I was having three strength-training days a week, I always felt like I had tons of energy in the evening even after the toughest workouts at the gym. After some of my runs I find myself sitting in front of the computer with little idea about what I’m supposed to be doing that night. 2. Running in hilly areas hasn’t been easy, especially since I’ve taken a break from it for a few months. I’m slowly getting back to not feeling like I’m about to collapse every time I run up a few certain hills in my neighborhood, but I’m still far from feeling great doing it. So far I’ve worked out this tip for running uphill successfully: slow your pace, shorten your stride, and breathe in and out deeply. Who cares if it makes you sound like you’re huffing and puffing – we’re in it to win it, darn it! 3. One thing that I definitely don’t enjoy during my runs outside is my runny nose (sorry for TMI). I’ve always had this issue during colder months of the year, no matter if I’m inside or outside, working out or not. Being active outside seems to magnify the problem to the point where it feels like my nose is an open faucet. To deal with this, I’ve been stocking up on tissues before leaving the house. You gotta do what you gotta do, right? 4. Running more frequently has sped up my metabolism, making me go hungry more often. This is something to be expected, so in order to be prepared, I’ve been stocking on snacks, especially for work. These days in addition to bringing my lunch from home, I also bring apples, oranges, bananas, nuts, little baked goods if available, etc. Tip: if you make clean, healthy food available, you’re much more likely to eat it instead of taking trips to the vending machine for heavily processed snacks (it also helps that my job doesn’t have a vending machine). 5. Getting enough sleep is tough. I’ve always been a night owl, and even though my current schedule has almost reworked me into an early bird, I still find it tough to go to bed between 9 and 10 pm. I wake up at 5:20 am every morning Monday through Friday and get 1-2 extra hours of sleep on weekends, but things wouldn’t be so gruesome if I managed to get more than 6.5 hours of sleep per night. I know, this is very often entirely my own fault because I can’t just put away whatever I was doing (usually blogging-related) at 9 pm and go to bed… Oh well, this is a skill I’m going to need to master pretty soon. One thing for sure: every time I finish a run, even if I was dreading it earlier, I am so glad I did it! This past weekend we had lovely weather here in Western Washington, so I truly appreciated the opportunity to enjoy being outdoors during my Sunday morning run before the rest of the world woke up. 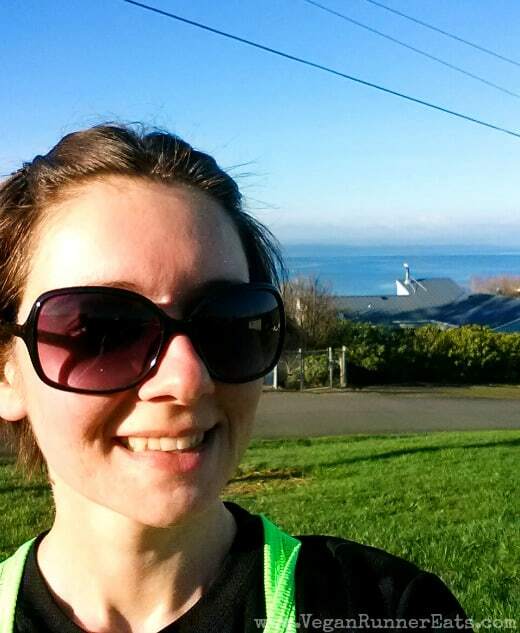 I’m glad that I get to enjoy the beautiful scenery of Whidbey Island, and witness plenty of wildlife during my runs. When you’re living in the moment and paying attention to the surroundings, you will often notice some pretty amazing things hiding in the plain sight. 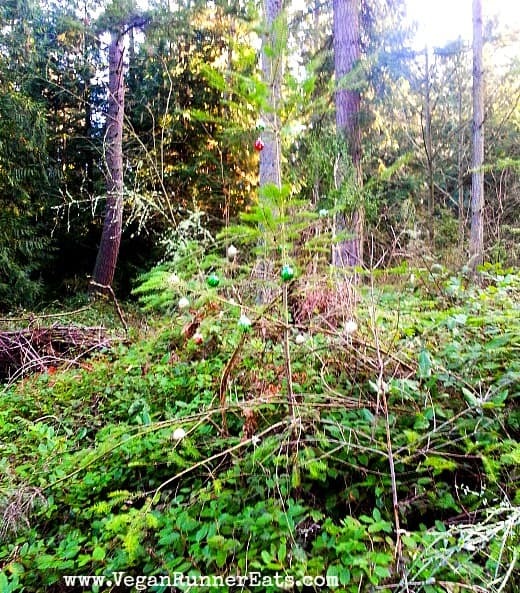 The other day I noticed a small tree growing by the side of the road that was decorated with Christmas ornaments – isn’t that random? I would have never seen it if I wasn’t running! – to race a 15k on March 1st in Seattle – yes, I’ve signed up for my first 15k running race ever! Of course I’ll update you on how it goes, please wish me luck in the meantime! Okay, looks like I’ve told you enough about the first month of my marathon training 🙂 . If you have any questions about this process, or are training for a race and finding yourself puzzled about stuff, please let me know, either in the comments below or by emailing me at veganrunnereats (at) gmail (dot) com. Tagged marathon training, Rock'n'Roll Seattle Marathon, running, Whidbey Island. Bookmark the permalink. 4 Responses to Rock’n’Roll Seattle Marathon Training, Month 1: Preparing for Bigger Things to Come. you have to get a handkerchief…it’s totally a grandma thing (and kinda gross), but it is waaay better than all that white fuzz coming off of the tissue when you blow your nose and it doesn’t fall apart like a kleenex. my friends tease me but now they all have hankys too. get em in the men’s section at target…you won’t regret it! Thanks Dayna, I should look into that! I used to have a handkerchief on me at all times back when I lived in Russia – nobody ever heard about throwaway tissues there, at least when I was still there.